The Luna Vine: Over the Moon, Grand Opening!! Over the Moon, Grand Opening!! 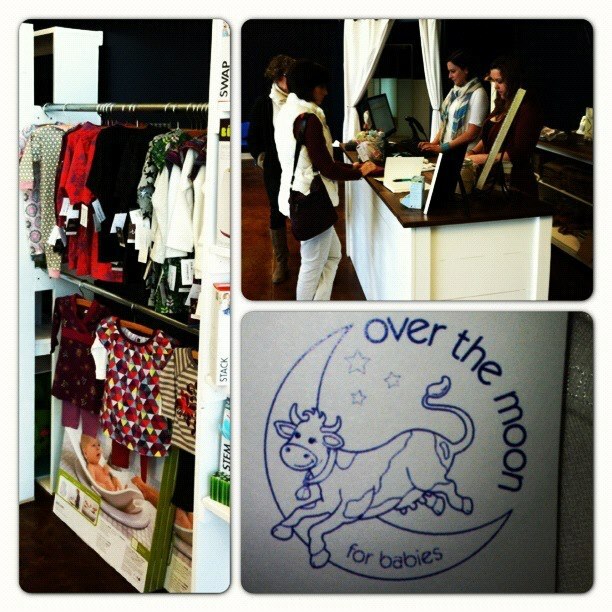 Over The Moon is a baby and maternity boutique with the trendy, conscientious and modern momma and daddy in mind! We have tried to do the research for you by offering some of the latest and greatest clothing, gadgets, products, toys and necessities for pre and post partum as well as the little tiny bundle(s) that just so happen to take over your life, house and love. The products we have chosen ...are well thought out and highly recommended. We have sold ourselves on everything we carry and know you will feel the same! baby clothing, furniture, cloth diapers, receiving blankets, toys, bath time products, feeding time products, basic maternity clothing (i.e. jeans, belly bands, tank tops, great black dress, etc. ), Nursery art and decor, breast pump, baby carriers, strollers, momma and baby skin care, books (both for baby and mom/dad)... so much more! In addition to all this, we plan to offer classes and workshops to the public. Breast Feeding classes; Babysitting Classes including a certification in CPR; Make Your Own Baby Food! ; Baby Sign Language; Baby Wellness/Exercise/Yoga; More info on this to come.